Of course she is the Athlete of the year. If you needed any more reason, here’s why. The Associated Press announced that Serena Williams was voted AP Female Athlete of the Year. She is receiving this honour for the fifth time, she was previously honoured in 2002, 2009, 2013 and in 2015. Serena had won many titles and acknowledged with many honours. One of the most notable was her 23rd Grand Slam victory at the 2017 Australian Open she won while pregnant. 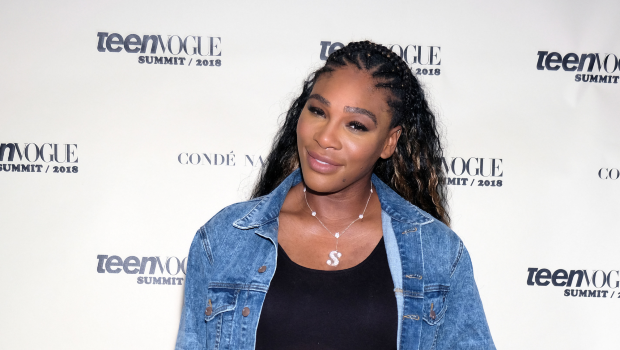 Recently, Serena was announced as part of the Forbes World’s 100 Most Powerful Women in 2018. With many more awards that could be counted among these, Serena has impressed us both on and off the court this year. Serena played her first game following the birth of her child, Olympia, at the French Open in what has been dubbed the catsuit. The black suit took Nike two years to complete and was designed “to help her recover” after giving birth. While the suit was banned following that match, Tennis.com reported that Serena would no longer need it. She later strut other designer looks on the court, designed by Virgil Abloh with Nike. @serenawilliams in Off-White™ c/o @Nike custom on-court look and hand personalized walk-on leather jacket with @olympiaohanian written on her heart advances to the US Open final. We cannot forget what Serena wore at Meghan Markle and Prince Harry’s royal wedding. From the Rapunzel-long braids, to the makeup and the impeccable Versace dress - she looked like a dream. What are your favourite Serena moments from 2018? Let us know here.